At CTIA, Motorola recently demonstrated a new feature for Motorola Android phones called MotoPrint. The feature allows users to print documents from their phones to a supposedly "wide range" of printers. MotoPrint, while still in beta, is able to print PDFs, Microsoft Office documents, and certain graphics via your local network printer. Currently, MotoPrint does not come with the phone, unlike the ability to copy and paste; instead, MotoPrint is an app that must be downloaded separately, presumably from the Market. While MotoPrint is not integrated into the basic features of the phone, it does have a very basic user interface. To print your document you simply launch MotoPrint, select a document, select a printer, choose your desired set-up for the item being printed, and print. Printer selection has a Google Maps feel, designed for ease of use on a college campus. MotoPrint competes directly with Apple's recently announced AirPrint, which will come built-in to iOS 4.2, although Apple's solution will only allow printing to HP's ePrint printers. Google has also announced that it is preparing a system called Google Cloud Print, which, as Google says, will allow the user to print any document to any printer anywhere in the world. To compete with Google, MotoPrint is going to have to bring something to the table that Google does not. 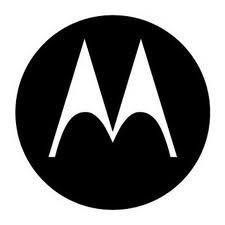 MotoPrint is expected to hit both the Android Market and Motorola's "Shop4Apps" app store by the end of the year. So, what do you think, will MotoPrint be successful, or will it turn out to be another worthless inclusion like that pesky eFuse bootloader or MotoBlur, which just ruins the Android experience?